At Pollard Jeep dealership near Thornton CO, we are excited about the new vehicles on our lot. From compact to off-road vehicles, we have cars to complement your lifestyle and needs. Our lineup of vehicles includes the all-new Wrangler, Cherokee, Grand Cherokee and Renegade. 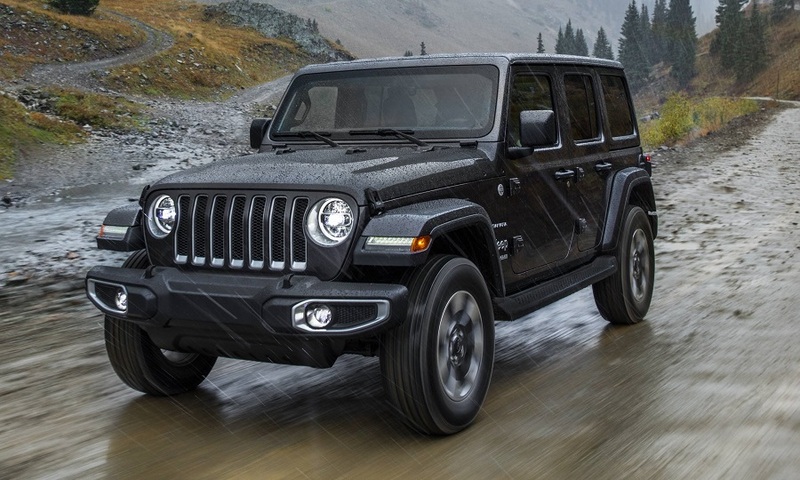 The all-new Wrangler is an adventurous vehicle that offers off-road capabilities. Its exciting features include our brand’s Command-Trac 4×4 System, a wash-out exterior and a 3.6 Pentastar V6 engine. This vehicle is available in a diverse palette of colors including Nacho Clearcoat, Firecracker Red and Ocean Blue Metallic Clearcoat. The Cherokee is one of our brand’s most-celebrated vehicles. With its signature body style and comfortable interior, this vehicle upholds our iconic brand. The Cherokee offers 6 models. Features include increased cargo capacity, a leather-wrapped steering wheel and premium LED headlights. 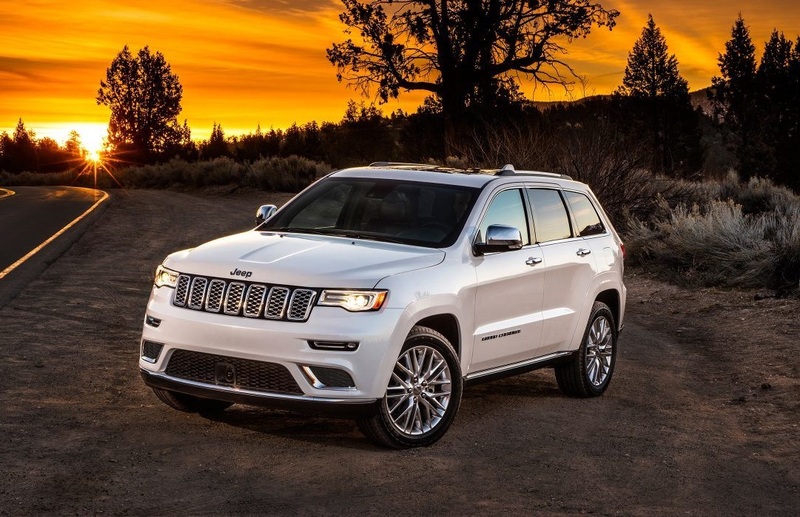 The Grand Cherokee has been named the most-awarded SUV ever for good reason. It features standard premium cloth seats (or leather upgrades), steering-wheel mounted audio controls and rain-sensing wipers. 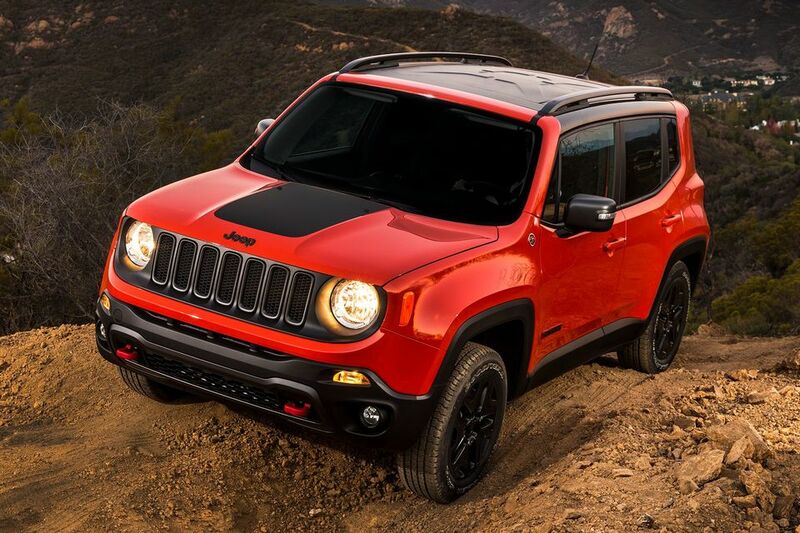 Our Renegade vehicle is a durable sub-compact SUV. It comes in an array of lively colors including Solar Yellow, Jetset Blue, Colorado Red and Omaha Orange. Notable features on the Renegade include remote keyless entry, a personalized instrument cluster and ample storage. Other new vehicle models at our dealer include the Compass, Wrangler JK and several Limited Edition models. For over 70 years, our brand has been at the forefront of the automotive industry because of our commitment to quality, durability and safety. If you’re looking for a new car by Thornton, check out our selection of new vehicles at our showroom serving Thornton Colorado. One of our sales staff team members can assist you. Our dealership offers competitive prices for our new and used vehicles. There are many ways to save at Pollard Jeep. This includes new car deals, used car specials and brand incentives. The best part about our new vehicle specials is we offer them throughout the year. Whether you’re looking for a new vehicle in the fall or winter, you can expect to find vehicles that fit your budget. At our Jeep dealership near Thornton CO, our specials aren’t just exclusive to our vehicles. We offer sales and parts specials to help you save money on vehicle maintenance. On this website, you’ll find our latest specials and deals. To get the most current information about other ways to save at Pollard Jeep, we invite you to bookmark our site and visit it frequently. Securing an auto loan that is right for you can be challenging. This is especially true if you don’t have anyone to guide you through the buying process. Fortunately, our dealer by Thornton employs a team of knowledgeable sales staff and finance professionals. We’re not just interested in the profits that we can make from selling cars; we want to see all of our customers get the favorable deals that they deserve. If you haven’t already secured financing for your new vehicle, our staff at our showroom serving Thornton CO is available to assist you. We have business relationships with local and national lenders. In most instances, we can find automobile loans for our customers. After you come to our showroom by Thornton, a finance person can share with you how much money it will take for you to purchase the vehicle of your dreams. At Pollard Jeep dealership near Thornton CO, we want you drive away in one of our new vehicles knowing that you got a good deal. Visit or contact us today to learn about our finance and auto loan options. We are proud of the highly-trained automotive technicians at our dealership. Our technicians know how important it is for our customers to have safe, operable vehicles. For that reason, they have received extensive training. When you bring your car or SUV to our service department serving Thornton Colorado, your vehicle will be worked on by top automotive technicians in the industry. In terms of services, our technicians can repair every component of your vehicle. From brake repair to transmission services, they have the knowledge to repair your vehicle correctly – the first time. Do you have a repair or maintenance concern that needs to be addressed? We can help. Schedule an online appointment or call our service department serving Thornton CO to schedule a service by phone. Don’t forget to check this site for service and parts specials so you can save money. There are so many ways that our customers can save at Pollard Jeep serving Thornton Colorado. Come to our showroom to see for yourself. * These details are intended to be used for informational purposes only. Our current deals and specials are subject to change at any time without notice. For current information about our new vehicles, contact us today.